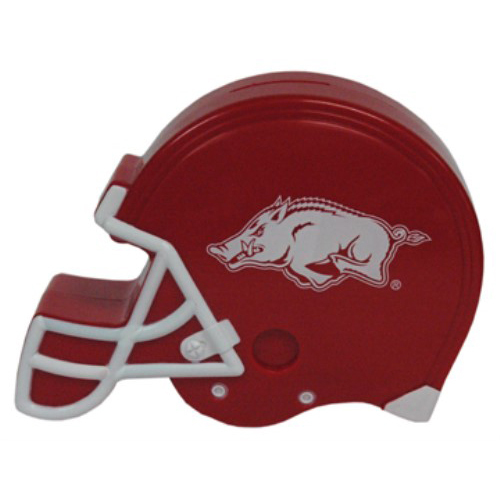 Save in style with this Plastic helmet shaped bank! Teach your kids responsibility while keeping it fun with this cool helmet. Features Razorback printed Razorback logos and a twist in stopper for when they’ve met their savings goal!